Vietnam is about to roll out new chemical regulations. The new chemical regulations have a lot in common with REACH, the European Union’s chemical regulations. Like REACH, Vietnam’s regulations require manufacturers and importers to declare the chemicals they’re using, and to register any new chemicals they intend to use. Like REACH,the new law requires identification of the substances, safety data sheets, and substance dossiers. Unlike REACH, Vietnam requires safety data sheets in Vietnamese and the manufacturer’s original language. The law exempts chemicals used in quantities smaller than 100 kg per year, not the one metric tonne which is the cutoff for REACH. This is an update of the 2007 law, which focused on labeling and safety data sheets for substances of concern. The new regulations, which have been sent to the government for signatures, are expected to include more detail about inspections than the 2007 law. 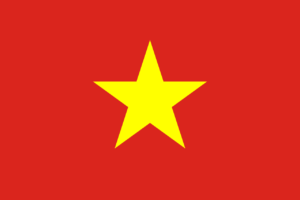 A Vietnamese government website reported in April that small business compliance with chemical regulations was poor. Vietnam was identified in a recent issue of Harvard Business Review as a “frontier economy” — one which may be risky, but which also promises the kind of fast growth emerging markets in countries like India and China no longer show. U.S. exports to Vietnam have increased by more than 77% — more than $4.4 billion — over the past two years. With 93 million consumers and a high level of political stability, Vietnam will be an increasingly attractive market for global companies in the near future. Compliance with chemical regulations will be essential for companies hoping to break into the Vietnamese market. This is one of the many reasons that we believe that EUPHOR is the right chemical regulations management software for most companies. When you use EUPHOR to streamline your REACH 2018 compliance, you are making an investment. It’s not just the cost of the software, but also your investment in getting your team on board, training, and configuring the software to work perfectly with your workflow. If you need to embark on more compliance projects, you don’t need to find and implement a new software package. EUPHOR is designed to work with any chemical regulations compliance project.